Home / babeetalkblog / 3 Day Potty Training: Is It Possible? 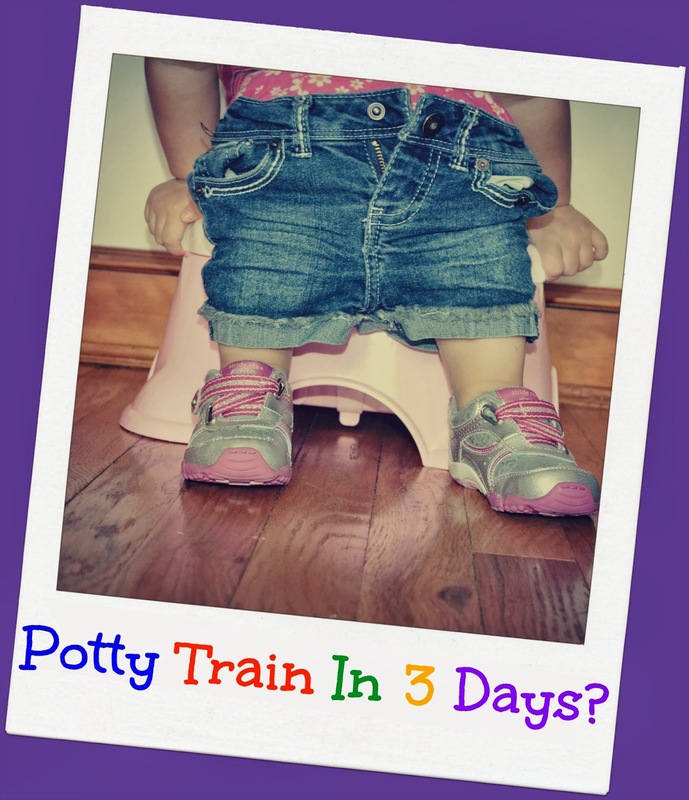 I 'm sure you have come across 3 day potty training methods that promise to potty train your child in 3 days. But you wonder if such methods are just gimmicks. Same here! When I started potty training my daughter, she was such a hard case. I started looking into all of these potty training methods for girls, programs, and books. I was so desperate and wanted a quick fix. "Only 3 days!" I thought... that's awesome! But which program or book do I choose? What potty training method is most effective? There are so many out there that promise different things. They all differ in how to approach potty training. My daughter was so scared of the potty, and stubborn at the same time. So I had to find a program that was going to consider her temperament and fears. So I decided to do what any good blogger would do. I decided to review some of these popular programs. For myself, and my readers...you're welcome! First let's answer the question, "Can I potty train my child in 3 days?" What is the best potty training method? Well that depends on how you define potty train. If you mean that your child will be completely accident free after 3 days, then the answer is NO. And any program that promises you that, you should definitely stay away from. Your child will have accidents and that is completely normal. If you think that your child will be diaper free at night time after only 3 days, then the answer is also a resounding NO! Being able to hold urine in during the night is a developmental thing. Your child's bladder has to signal the brain and wake her up. That is something that happens with age. This is not something you can train or control. Sure a few lucky parents will take away diapers during the day, and their child will stay dry at night too. But those are a lucky few, and usually the ones that start potty training late, meaning the child has already achieved that physiological development. Now if you define potty training as your child being able to control pee or poop and let it go in potty or toilet. You expect a few accidents here and there, and you don't think night-time control is a prerequisite. Then YES, it is possible to potty train in 3 days. Now let's talk about the different potty training methods and programs out there. Keep in mind that they all have pretty much the same concept. Which is that you get rid of diapers, devote yourself to at least 3 days of stay at home potty training, and not use pull-ups to sabotage the process. So I will discuss the main differences between them. Out of all the programs I have reviewed, this one is my favorite potty training method. This program is created by a mother of 4, and daycare owner who has tons of experience with potty training toddlers. In this program, Carol teaches you an easy to follow method of potty training, with no pressure to nighttime train. What I love is that she covers a variety of topics. She talks about differences between potty training boys and girls. She has special sections in the program for special needs children (autism, down syndrome etc). There is a section especially for twins/multiples, and older children who may be more difficult to train. The best part of this program is the "bumps in the road" section, which every potty training parent will face during potty training. In this section she addresses fear of pooping, wetting the bed, tantrums, regression and so much more. She also teaches you how to handle outings to places like the mall, fairs, pools, and even airplane travels. I also love the fact that you can ask her questions when they come up during the training process (and trust me, your always going to have questions). Carol offers a "lifeline" where you can reach her directly, with any unique questions you may have. The personal consultations is what had me sold. This program goes way beyond a quick 3 day potty training method, Carol Cline literally helps you through EVERYTHING. There isn't a topic that she doesn't cover. You are truly getting your money's worth. That is why I recommend this program above any other. Don't be discouraged by the gimmicky sales page. The site could use a little work in the marketing department. I bet many parents are turned off by the silly video. But if you overlook that, it's a really great program. Here are some more features of the Start Potty Training Program. This is another popular potty training program. And as most of the other programs, you ditch the diapers, offer tremendous praise and rewards for success. The main difference with this program is that your child is allowed to wear diapers at night. Dana considers daytime and nighttime training as two separate entities. Dana says "you should also understand (and let your child know) that he’ll still be using diapers at nighttime, and that nighttime diapers are OK — even for big kids! (The fact is that bladder control at night takes longer to master.)" This alone is a huge plus in my book. I need a program that's going to offer a realistic method and approach, not a quick gimmick. What I also like about Dana Obleman is that you can get lots of freebies right from her site. Useful information that may answer your questions, before you even decide to purchase the program. For example, right now you can get a free PDF where Dana talks about potty training myths, and gives you tips on how to potty train. Here it is. A program that quickly gained popularity (I'm guessing it has something to do with title). The gist of this program is that you take away all diapers, put on underwear, and don't ever revert back to diapers. You offer liquids and high fiber foods. And you praise and reward your child for using the potty. It's a pretty simple program, straightforward and easy to follow. There are a few things I didn't like. First Lora has you refer to accidents as "yucky" or "pew". Now my little girl had a very bad fear of "letting it go." (you can read about that HERE) Among all my research, I learned that kids with these fears usually view their "duty" as part of themselves and their body. In my opinion, the worst thing you can do is call "a part of your child's body", "yucky". That's a horrible idea, and will only make your child feel ashamed. The other thing that was a deal breaker was that Lora has you take away diapers, even at night-time. I agree taking them away during the day, but as I mentioned before night-time training is a developmental milestone, that matures with age. Lora says that if your child is at least 22 months old, they should be waking up dry and gives you a few different options of "nighttime training". I tried her method and it just didn't work. There is no way my 22 month old was going to stay dry at night. That is not something you can "train". She wet the bed over and over. When she woke up, the diaper had cold pee, and she had no idea she had done it. Meaning she did at some point during the night while she was asleep. Waking my daughter up from her sleep to take her potty just wasn't an option for us. And you can't really change things up either, Lora says you have to "follow the program to the T" for it to be successful. This program may work for others, but it didn't work for us. So there you have it! A quick guide to the most popular 3 day potty training programs that promise to potty train your child in a few days. If there are any you would like me to review that I haven't mentioned please leave me a comment below, and I will try my best to get a copy for review. Violet Giannone is a Registered Nurse, a member of the Association of Professional Sleep Consultants, as well as a professional member of The National Sleep Foundation. She has also written articles for parenting websites such as What to Expect When You're Expecting. Violet started her website to help parents who were experiencing the same issues she had with her first daughter, Brianna. When Brianna was born, she wouldn't sleep at all at night. Violet became exhausted, frustrated, and was at her wit’s end. She knew she had to do something so she studied every single sleep training method, sleep book, and program out there. She relied on her nursing knowledge of sleep cycles, disturbances, and how sleep works. She tried different methods and tweaked things until…ta-da! Brianna was sleeping through the night. as on an individual basis. She maintains a blog to help parents with potty training andpotty training tips. She loves sharing all that she has learned with other parents. She knows firsthand how important sleep is to be able to function and take care of your day-to-day responsibilities. She now has over 150,000 parents visit her site each month! Interested in writing a guest blog for Babee Talk? Send your topic idea to media@babeetalk.com. All data and information provided on this site is for informational purposes only. Babee Talk or babeetalk.com makes no representations as to accuracy, completeness, current-ness, suitability, or validity of any information on this site and will not be liable for any errors, omissions, or delays in this information or any losses, injuries, or damages arising from its display or use. All information is provided on an as-is basis.